GAL MO/KMO Key is elevator shaft hoistway door releasing tool for various elevator brands with GAL MO/KMO interlocking device. This is the flex handle version. 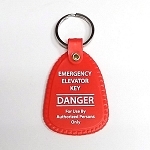 It is for firefighter and rescue personnel only. Note: this item cannot be shipped through first class mail.